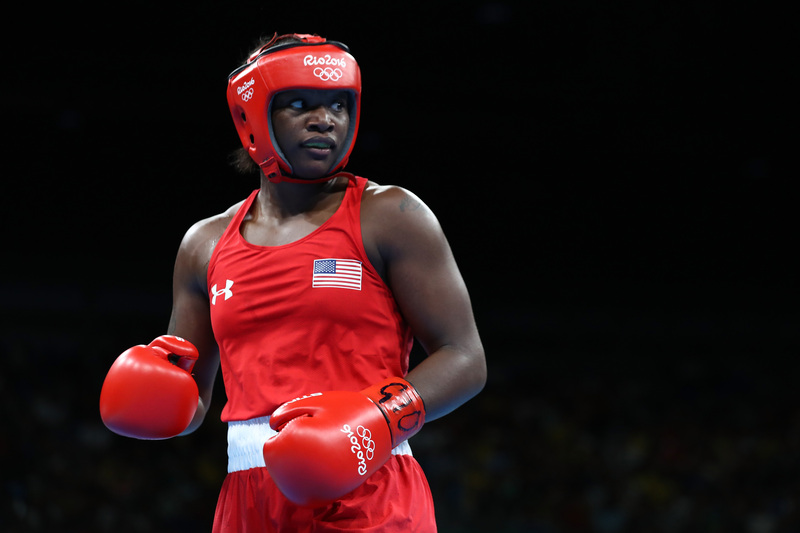 Claressa Shields is on a roll. The American boxer, who's gone 76-1 in her amateur career, defeated Dariga Shakimova of Kazakhstan in the middleweight semifinals at the Olympics in Rio, and on Sunday, she'll duke it out for the gold with the Netherlands' Nouchka Fontijn — a boxer she already beat in May for the world title. And that's not all: There's a movie about Shields coming down the pipe as well. Universal Pictures bought the rights to produce a film based on Shields' life story in March. According to Deadline, which reported the news, the picture is being envisioned as a Rocky-inspired sports flick, geared to a mainstream audience and with a strong theme of female-empowerment theme. It will follow Shields' journey from Flint, Michigan, where she was born and raised, to the 2012 games in London, where Shields became the first American woman to win a gold boxing medal at the Olympics. It won't be the first film based on Shields: She was also the subject of a 2015 documentary called T-Rex, which documented her rise to prominence as a female athlete in a largely male-dominated sport. As for this year's games, the 21-year-old is openly quite confident about her chances. Earlier in the games, she jokingly criticized a reporter for using the phrase "if you get a gold medal" during an interview with her. "If?," she said incredulously. "I'm sorry?" Shields went on to call herself "the best fighter here, male or female." In a separate interview, the Olympian also noted the unique challenges she faces as a female boxer. While practicing for the Olympics, she'd decided that it would be helpful to spar with men as well as women, but her coach was reluctant to let her do so. Shields has more accomplishments under her belt in addition to her 2012 gold medal — which, by the way, she won as a teenager. She also won the 2014 world championships, and the next year, became the first American woman to win the gold medal in boxing at the Pan American games.